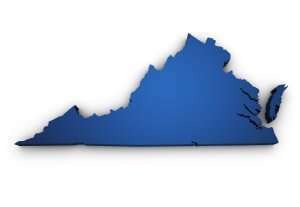 OSHA Targeting “Contractor” Designations in Virginia - Employee or Independent Contractor? Just this summer, the agency empowered its non-attorney inspectors to make a legal determination during inspections: the employment status of everyone at a worksite. If the inspector makes an on-the-spot decision that your contractors should really be considered employees, you pay dearly. How? By taking penalty reductions off the table, for starters. Each item on an OSHA citation can cost you up to $7,000 or even $70,000, depending on the severity. Historically, the agency has reduced penalties by up to 85 percent, especially if you have a good history of workplace safety and act in good faith. But not any more. Under the new policy, if the inspector declares that your contractors should be considered employees, watch out. You’re paying full freight on each penalty, without exception. Your only recourse would be legal action. The consequences don’t stop there. The inspector will then take off his or her DOLI hat, and then require everyone’s contractor’s licenses on behalf of the Department of Professional and Occupational Regulation (“DPOR”). A refusal will earn you a subpoena. And every contractor or subcontractor who fails to produce it gets referred to DPOR for additional sanctions such as fines, probation, suspension and license revocation. Your smallest contractors will get extra attention. The agency will refer all cases in which the value of a subcontract falls below $1,000 to the Virginia Workers’ Compensation Commission for further audits.